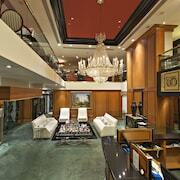 Where to find Beaconsfield hotels near an airport? Where can I find hotels in Beaconsfield that are near tourist attractions? Searching for a hotel or apartment within a short driving distance of central Beaconsfield? 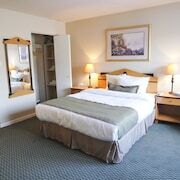 About 5 Expedia-listed hotel and apartments lie within easy driving distance of the center of Beaconsfield. The Holiday Inn & Suites Pointe-Claire Montreal Airport is the nearest hotel to the center of Beaconsfield and is merely a quick drive away. 10 kilometres (6 miles) away from the middle of Beaconsfield, is the Montreal Airport Marriott In-Terminal Hotel. The Château Vaudreuil Hôtel & Suites is positioned 11 kilometres (7 miles) away. 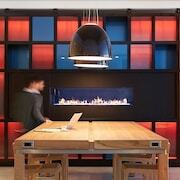 Two more hotel options worth checking out include the Hôtel Ruby Foo's and the Le St-Martin Hotel & Suites Laval. Once you have thoroughly explored Beaconsfield, why don't you explore a little more of the region? The Montreal - Monteregie region has many scenic and cultural delights waiting to be explored. View Montreal - Monteregie's forests and rivers. You could also head to the area's old towns and churches. Common things to do in this part of Canada include skiing, cross-country skiing and ice skating. 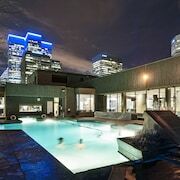 25 kilometres (15 miles) from Beaconsfield is Downtown Montreal, where visitors can enjoy Musee des Soeurs Grises and Musee des Hospitalieres de I'Hotel-Dieu de Montreal. Should you wish to spend a few nights in Downtown Montreal, be sure to check out the Auberge de La Fontaine and Ritz-Carlton, Montréal. Or stay in Rosemere, 25 kilometres (14 miles) to the north of Beaconsfield, where you can pick from the Spa & Hôtel Le Finlandais and Aux Berges de l'Ile Garth. If you're staying in Rosemere, be sure to explore the Arena Rosemere and Place Rosemere. Why not spend a few hours rubbing shoulders and cheering along with fellow sports enthusiasts at a local sporting fixture. Olympic Stadium is 30 kilometres (18 miles) to the northeast of Beaconsfield. If you are keen on booking accommodation close by, make a reservation in the Loft Hotel or Auberge Le Pomerol. Pierre Elliott Trudeau International Airport is a convenient airport for flying into and leaving Beaconsfield. It is 10 kilometres (6 miles) away. 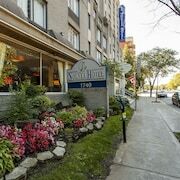 If you choose to stay nearby, try the Hampton Inn & Suites by Hilton Montreal-Dorval or Sheraton Montreal Airport Hotel. What are the most popular Beaconsfield hotels? Are there hotels in other cities near Beaconsfield? 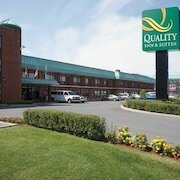 What other types of accommodations are available in Beaconsfield? Explore Beaconsfield with Expedia.ca’s Travel Guides to find the best flights, cars, holiday packages and more!